East London’s new EartH venue (Evolutionary Arts Hackney) boasts Europe’s first L-Acoustics L-ISA Immersive Hyperreal Sound 360° system. I haven’t a clue what this means, but I can safely say that this converted cinema is one of the best venues I’ve ever been in. Hot on the heels of hosting the Beastie Boys chatting to local Stoke Newington resident Thurtson Moore, London’s newest venue has scored another considerable coup with an appearance by The Good, The Bad & The Queen, presenting their new state of the nation lament, Merrie Land. Their three night residency sold out in minutes, and Harry Enfield and Jasmine Guinness are present and correct to witness the opening night. Opening with its title track and lead single, Damon Albarn is immediately in full showman mode, shaking hands and stalking the stage like a man possessed. 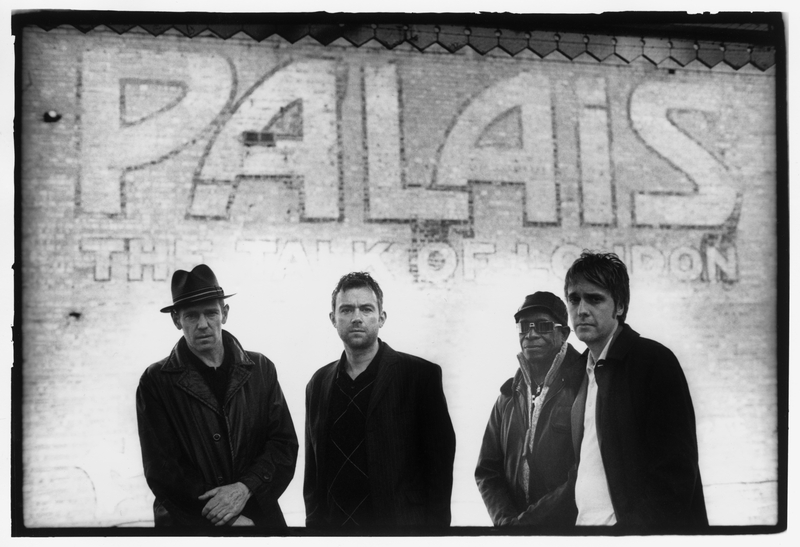 The album’s intro from The Canterbury Tales is played over the PA, and Albarn’s crack squad, comprising Afrobeat, punk and indie legends, launch into action. Within the blink of an eye, Albarn switches from sensitive crooner to circus ringmaster. Merrie Land is played in its entirety, as if to reinforce the point of its existence. England might be going to hell in the handcart, but at least the soundtrack is great. It is hard to peel your eyes off Damon, but there is so much more going on in this so-called supergroup. Simon Tong coaxes mind blowing sounds out of his guitar, and rhythm sections don’t come much better, or cooler, than Paul Simonon and Tony Allen. A string ensemble adds another sumptuous layer of sound, gently elevating this show into the realm of the extraordinary. They take a short break before a superb second set from their eponymous first album. Kingdom of Doom perfectly encapsulates its dreamy and spooky brilliance. Nature Springs references an impending environmental apocalypse, which is highly apt considering Simonon’s track record as a Greenpeace activist.